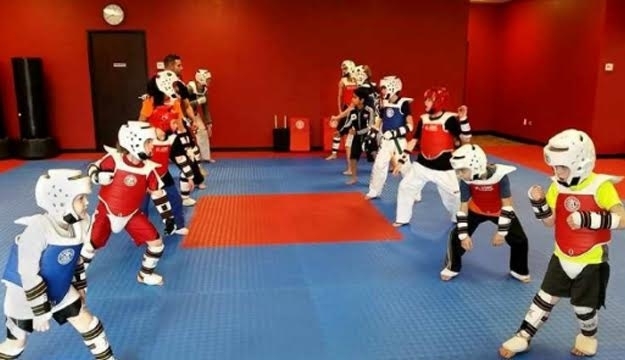 Aside from climbing out of rattlesnake-infested quicksand or posing for rattlesnake-infested watercolor portraits, few activities combine the focus and physicality seen in taekwondo training. Give fist paintings a little martial artistry with today's deal. 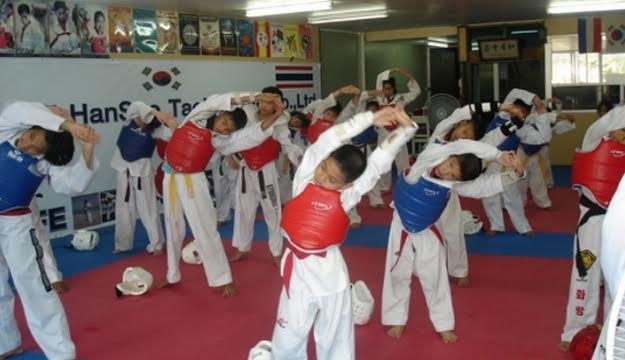 Exercising Taekwondo gives you several benefits apart from booting out your weight problems and weak stamina. 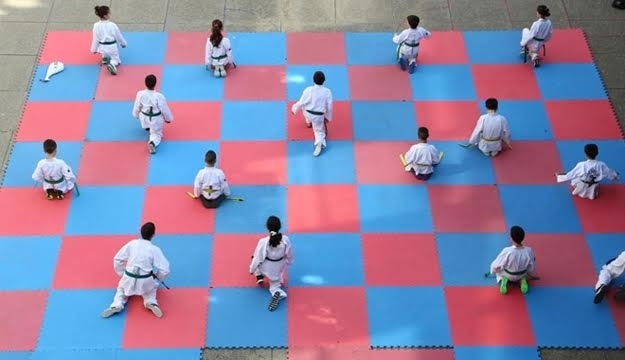 A traditional Korean martial art, this is your self-defence technique to find harmony and peace of mind. Tae-kwon-do means foot or leg, fist, and fight. To do it rightly, you have to train your mind to calm down first. The principle is if you have peace of mind it also extends to your feet and other body parts. 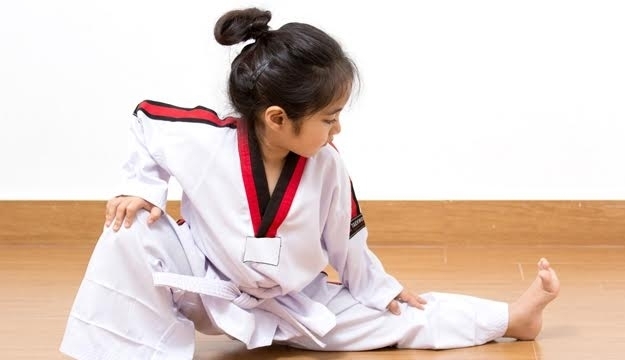 Thus, if you master Taekwondo your kicks are higher and stronger and you develop speed, balance, flexibility and focus, not to mention you can even break bricks or wooden board. 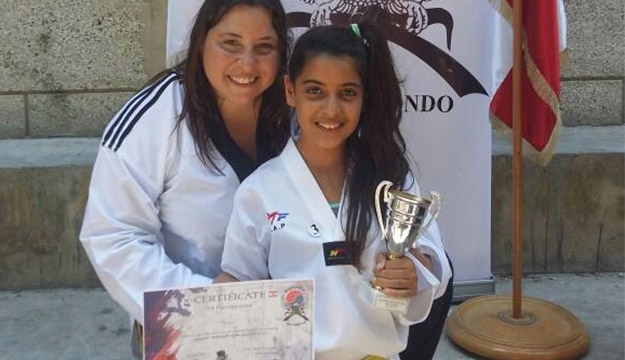 Having started Taekwondo at the mere age of 5 years, Coach Sandra Chartouni started the journey in mastering Taekwondo in 1986. With over 20 years of experience in teaching, she earned her coaching certificate in 1999 and since has been giving classes to people from all walks of life. 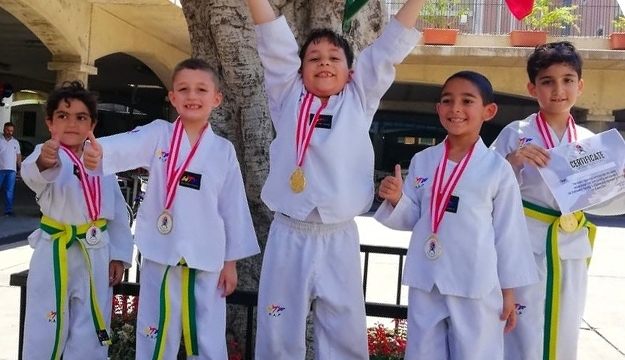 The main goal of Taekwondo Champs is to teach students confidence, discipline, respect and focus to help them achieve their goals and strive for excellence in all parts of their lives. 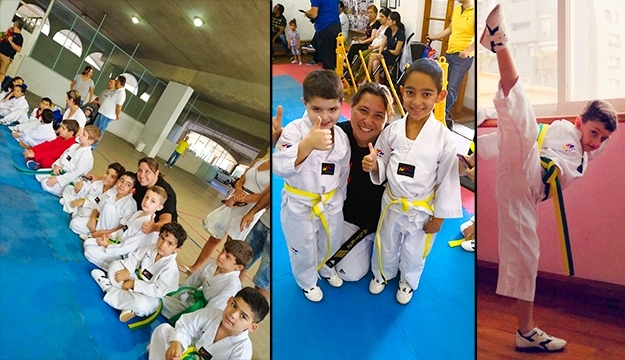 Taekwondo Champs offer Taekwondo classes for boys and girls, starting at 4 years old and above, to gain self-defense at early age as well as developing cardiovascular fitness and flexibility. 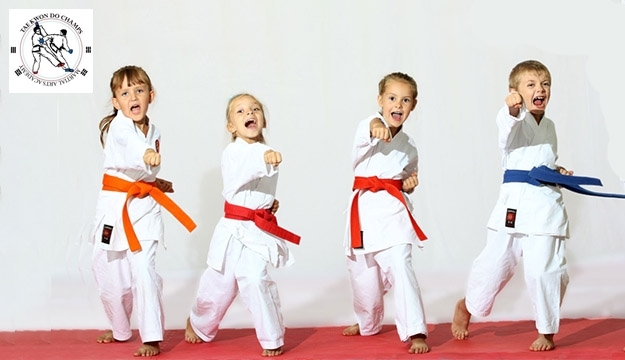 Expect fun and exciting classes that keep them active, energized and confident.